We’re taking the Historical Aviation Film Unit on the road during our usual off-season this year, and we’re visiting the UK in August and early September. It would be great if you’d join us, virtually of course, for the tour. You can follow along with what we’re doing and where we are by keeping an eye on our Facebook at http://www.facebook.com/aviationfilm, on our Twitter feed at http://www.twitter.com/HistAvFilmUnit, and here on this Blog. We’ll be posting updates of where we are, and where we’re headed next, photos, and hopefully a few video clips as well. During the four-five week tour period we’ll be attending a number of weekend shows, and then mid-week we’ll travel to a variety of other collections, museums and locations so we can shoot and gather content for our Online Video Channel (http://www.aviationfilm.com/video), and for a couple of other projects we’re working on. Our schedule will be hectic (particularly during the week), but we’re keen to meet up with anyone in the UK who’s keen to say hello — let us know if you’ll be at any of the events we’ll be at (see the list below). If you think you might be on our route from one place to another, let us know, you never know when we might just be passing through your neck of the woods and need to stop for a drink and a chat! If anyone has any suggestions for any museums, collections, or airfields with interesting aircraft (or vehicles) that you think we should visit during our whirlwind trip, please let us know by posting a comment below, or email us. Sunday 31st – Shuttleworth Edwardian Picnic & evening airshow. 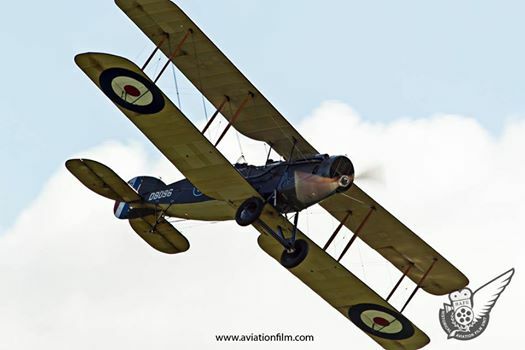 This entry was posted in Uncategorized and tagged Historical Aviation Film Unit, Moth Club Tiger Rally on July 31, 2014 by Historical Aviation Film Unit.